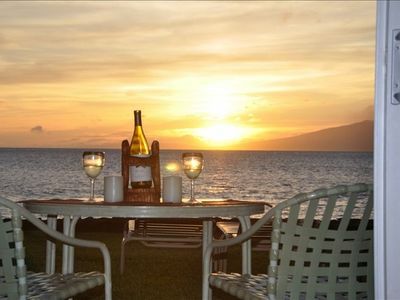 ENJOY MAUI'S ocean sunsets every night from your own patio after sun drenched days at world famous Kaanapali Beach. 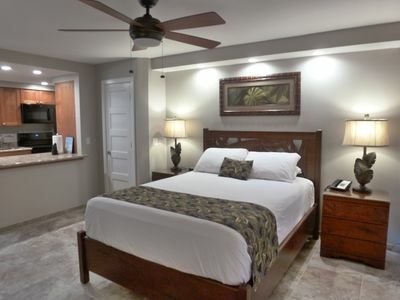 Situated right on the lush green fairways of Royal Kaanapali's North Course, this beautiful suite has TWO spacious bedrooms and TWO FULL baths. 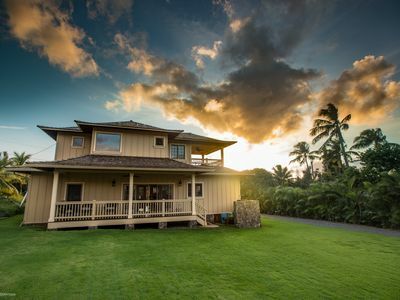 Both bedrooms and the living room have floor to ceiling brand new double paned sliding glass doors that open up to your own private Lanai overlooking the golf course, Molokai and Lanai Islands, and down to the ocean and the private Beach Cabana. 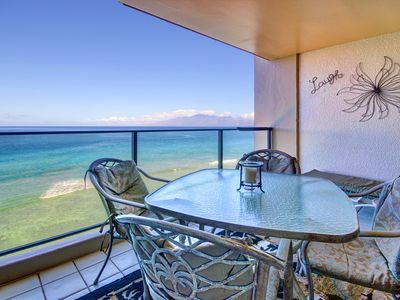 This Maui Eldorado condo allows you to enjoy the splendor of Maui with the wide open views of the golf course and spectacular sunsets! 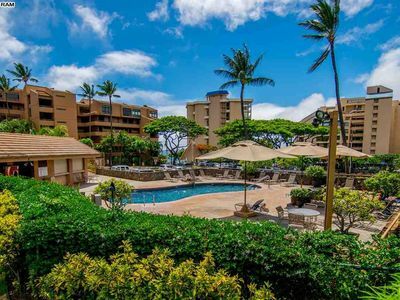 This newly remodeled air conditioned condo exudes comfort with over 2,100 square feet of living space - it is one of the LARGEST units at the Maui Eldorado. Full gourmet kitchen, living room, walk-in closet, and laundry facilities. The master bedroom has 2 comfortable Queen size beds and has matching dressers and nightstand. The second bedroom also has two more beautiful queen size beds. Both bedrooms and the main Living Room boast flat screen TVs so everyone can watch what they want! 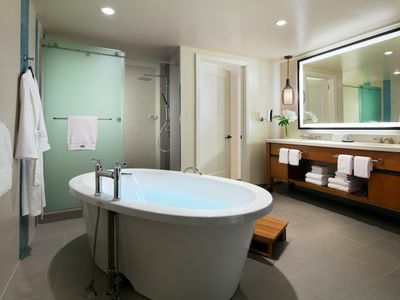 Bathrooms have also been remodeled and have tile floors as well as custom made cabinets. The gourmet kitchen has been completely remodeled in late 2011 and the expanded kitchen area is arger than most kitchens, has a cooking island and all new appliances (Electric Cook Top, Fridge w/ ice maker and water access in the door, Oven, and Microwave). 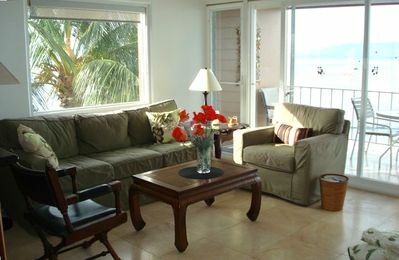 The Lanai has been newly tiled with beautiful outdoor tiles and the interior boasts darkened bamboo floors. New outdoor lanai table and chairs facilitates outdoor dining! 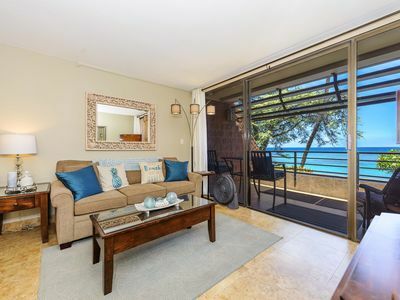 This 2 bedroom is very unique to the Maui Eldorado as it has BOTH bedrooms and living room having sliding glass doors to the lanai facing the golf course. 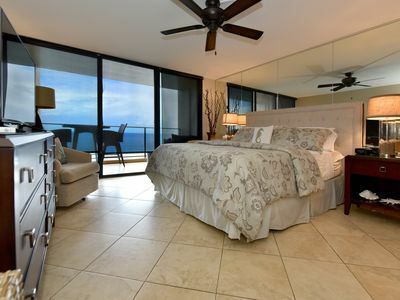 Most other 2 bedrooms in the Maui Eldorado only have one bedroom up front and the other is set back in the interior of the building with limited views. As well, this is NOT a converted one bedroom as is listed in some of the VRBO units - but full 2 bedrooms! This second floor unit (C205/C206) is an excellent value for the space and quality it offers. It is ideal for large families and/or multiple families who still desire privacy and space. Whether it be a large family or just two couples who want to get away together - sleeps up to 8 comfortably. 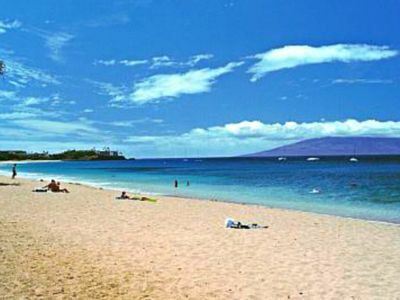 Come enjoy Maui - Conde Nast Traveler has rated Maui as the BEST ISLAND IN THE WORLD to visit for the last decade! The Maui Eldorado resort offers the ONLY BEACHFRONT cabana with a full kitchen on the Kaanapali beach! Pack a lunch or drop by the Lobby Market to get one and then enjoy it at the beach or in the shade at the cabana. If you are feeling tired or just in vacation mode, the house golf cart shuttles guests to and from the exclusive beach cabana at north Kaanapali Beach to the Maui Eldorado main lobby. 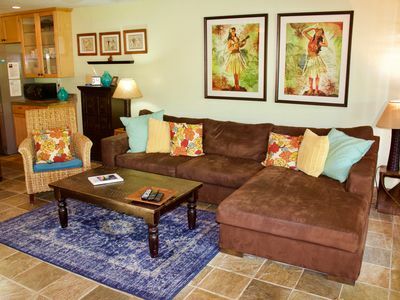 The club house offers fridge, stove, microwave, kitchen utensils, recliner chairs, beach towels, showers and more! 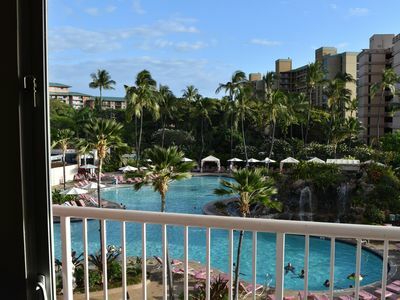 Maui Eldorado Resort amenities include three swimming pools with one conveniently located adjacent to the C building (where the condominium is located) , while the other two are just steps away. The pools are gated and it is never a problem finding available lounge chairs on the pool decks. 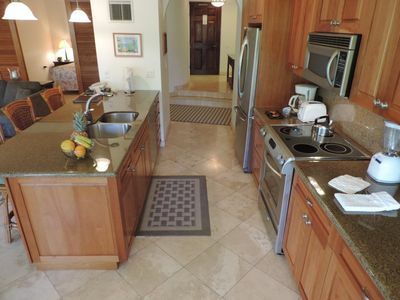 Also adjacent to the C pools less than 10 yards away is an outdoor gas grill for barbecuing your favorite Hawaiian fare. Maui Eldorado Resort has on-site staff available to greet guests for check-in. Bell service, concierge, convenient parking and activity desk, will help make your stay a memorable one! 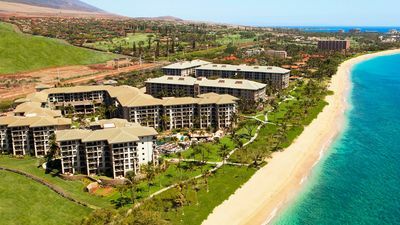 Located in the heart of Kaanapal Beach, the Maui Eldorado is a quiet resort just minutes away from one of the best sandy beaches on the island. Separated by the sacred 'Black Rock', on one side you have the light sands of Kaanapali Beach and on the other side the Royal Lahaina Beach - just as pretty with 1/2 the people! Shop at the world class Whaler's Village Mall which has a wide variety of shops for all ages and tastes (only 5 mins away), ocean front dine at one of the fabulous restaurants along the famous Kaanapali Beach, enjoy a morning stroll on the beachfront walkway up or down Kaanapali and Royal Lahaina Beaches, take in the sunset at Maui Eldorado's Private Beach Cabana, watch the nightly cliff divers off Black Rock, play championship golf at one of two Royal Kaanapali Golf Courses, whale watch, swim, snorkel or scuba in the warm waters at Black Rock or up at the Kahekili Beach County Park.... and the list goes on! Vacation doesn't get better than this! The historic town of Lahaina is only a 10 minute drive from the Maui Eldorado where you can explore art galleries and souvenir shops in historic Lahaina Town, take in the night life or enjoy dinner at Longhi's, Ma'la, Hard Rock Cafe, Cheeseburger in Paradise! Or instead of driving take the Sugar Cane Train in and out! When in Lahaina with kids make sure to visit Dan's Greenhouse to pet the baby pot bellied pigs and talk to the exotic birds! 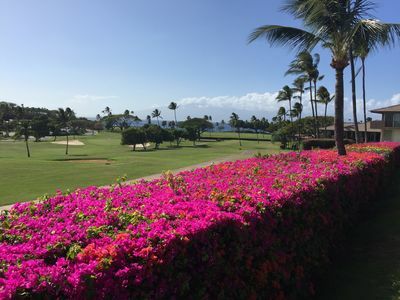 Travel north of Kaanapali to the verdant Kapalua Resort with great golf and walking trails. For more photos email Alan and tell me what you would like me to send to you! Local Contact for Maintenance ONLY issues when you are on Island : Mariano C. Contact me for his number if you need it. FOR RENTAL REQUESTS - Please fill in the form. 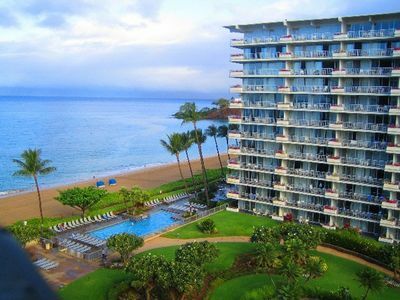 Hawaiian Paradise - 2 BR Condo - 25 Ft. from the Ocean! 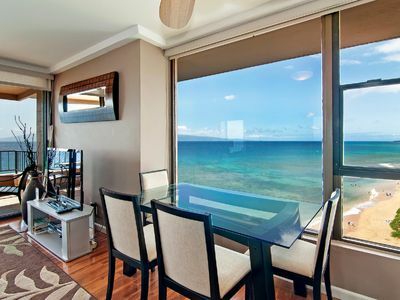 Kanai A Nalu Unit 101 Oceanfront ocean view ground level convenient to lawn, beach and the sea. 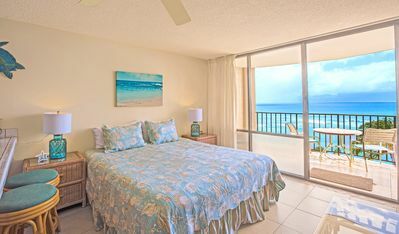 Pikake - West Maui Beachfront Condo! 20 Feet from the Ocean! 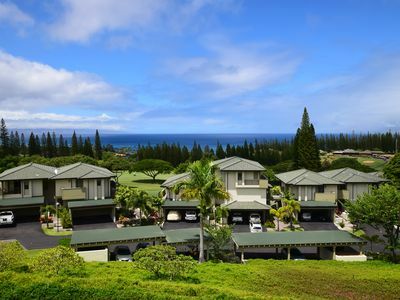 Kapalua Golf Villa with Stunning Golf Views! 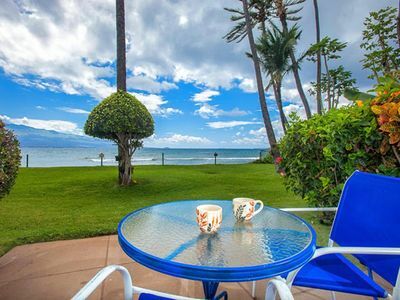 Spacious & Modern Maui Condo Steps to the Beach! 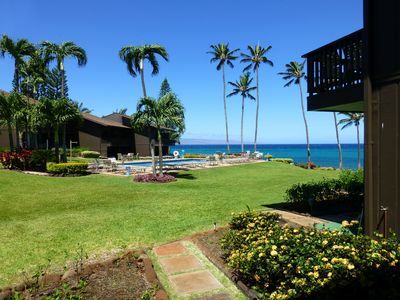 Celebrate Graduation or Start of Summer on Maui!